24 cm tall (10 inches). 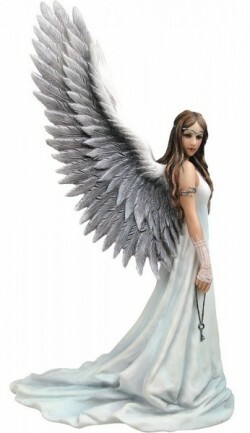 Beautiful finished gothic angel figurine from the Anne Stokes collection. She holds a key. Larger version also available on our shop. Base: 15cm x 8.5cm. 24 cm tall (10 inches).